Refill pack contains eyelets and washers. Nickel/Silver, 12 sets - 14mm, 4/7in. 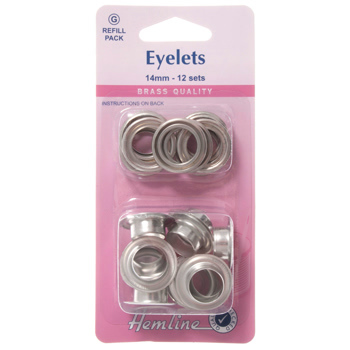 Refill pack contains eyelets and washers. 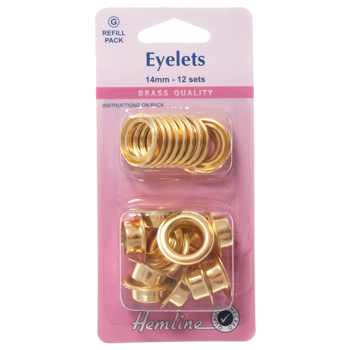 Gold/Brass, 12 sets - 14mm, 4/7in.